Sole Awesome 5km FUN run – Sunday, May 29th! Looking to get active with your kids? Try the Sole Awesome 5km Fun Run coming up this Sunday! Early bird rate of $35 ends March 24th at midnight. Support girls and boys’ mental health, and fun physical activity in this Super Fun 5km fun run! If you think girls and boys deserve an empowered community that supports them, then join us for this awesome event! Sole Awesome is the funnest 5km fun run that you will ever participate in. Think High Five Stations, Colour, 3-Legged Races and Cheering! Participants are celebrating FUN physical activity and positive mental health in our communities. To emphasize Sole Programs’ core values, each kilometre mark will host a celebration and obstacle course from Sole Awesome media and community partners. These values are Support, Open Mindedness, Listening and Enthusiasm. Sole Awesome will take place on Sunday, 29 May 2016. The event will begin at 9:00am and wrap-up at 12:00pm. If you think girls and boys deserve an empowered community that supports them, then you embody what Sole Awesome means and this event is for you! Sole Awesome is presented by Sole Girls & Sole 4 Boys. 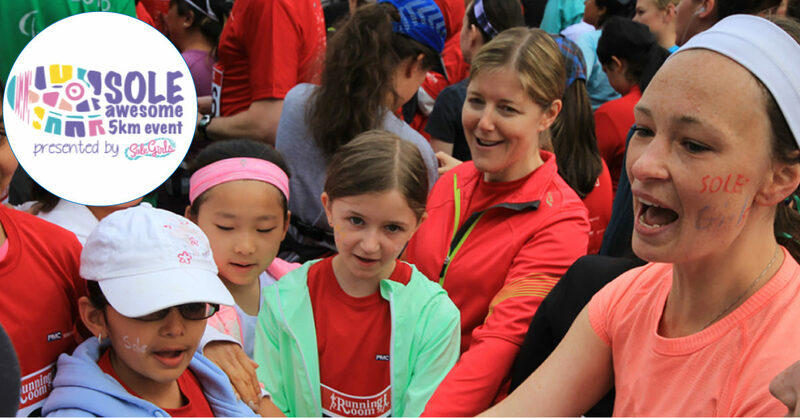 With proceeds being donated to the Sole Programs Scholarship Fund and the Amanda Todd Legacy Foundation, Sole Awesome is a 5km run that supports girls and boys’ mental health, and fun physical activity. 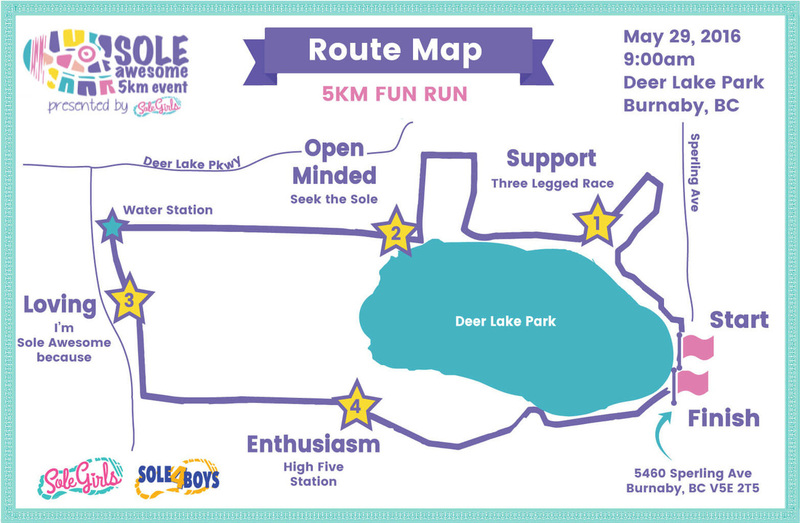 Organizers are thrilled to be hosting Sole Awesome 5km event at Deer Lake Park in Burnaby, BC. Early bird rate of $35 ends March 24th at midnight. Click HERE to register now!